This forum is made to allow members to introduce their main, or new character into the guild by filling out a profile with important information about the character. For alternate characters, this will be used as a form of enlistment in place of a fully fledged interview for a secondary, or even tertiary character. After filling out the form, we encourage you to use this information in your roleplay profiles and wiki pages! Title: The title of the post should simply read the characters first and last name, with no titles. 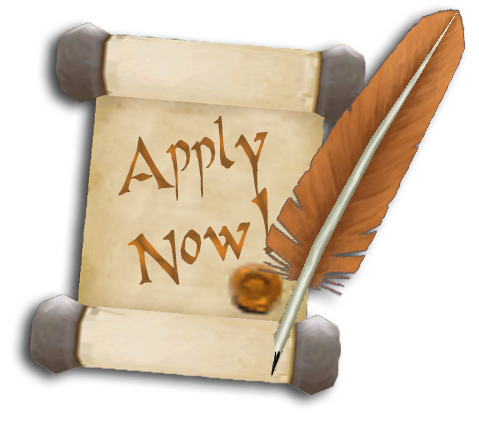 Filling out the Form: If there is anything listed on this application that you already have on a wiki page, or roleplay profile, you can copy-paste it here for submission. Approval: if the character is an Alt, an officer will note the profile is approved, and you can begin playing them as an enlisted member of the Citrine Eagle. We will promote you to the Snowcap rank, and it will be assumed that your new character was interviewed by your main character in the guild. (If you have this on your RP profile, you can copy paste it from there. A physical description of the character and their visible attributes. Give a detailed background on your characters personality, and their mental state.This is the place to note any personality traits about your character that are not otherwise listed. Anything else about the character you might like to note can go here. Even art!